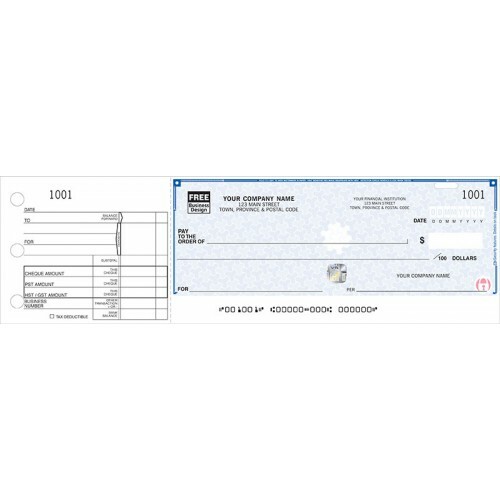 Our High Security Cheques incorporate features to provide a high level of protection against fraudulent activity! All orders go through proprietary screening to prevent unauthorized orders. 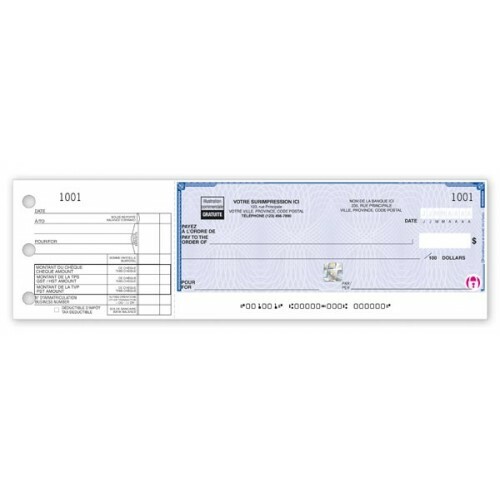 These popular 1-on-a-page business cheques make it easy to track payment details in 1 convenient place! Microprinting - Tiny type in border on front will fill in when scanned or photocopied. Fibres & Security Ink - Coloured fibres on front are visible only under black light. Security Screen-"ORIGINAL DOCUMENT" text & weave pattern visible on back. NEW Safety Hologram feature! The new Safety Hologram feature, a multi-dimensional foil seal hot stamped to cheque stock and cannot be photocopied. includes 7 of the 22 new security features. Free personalization includes your business imprint plus choice of standard cheque color, typeface & standard business logo. Take care of business wherever you are. These handy cheques offer everything you need to process payments at the office, at home or on the go. 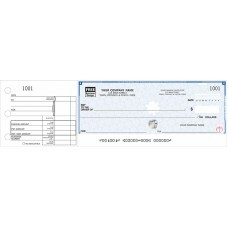 Note: Cheques not included.Description: Binder holds one-to-a-page, 1 copy cheques.Color: BlackSize:..
Free Imprinting Available!Description: Confidential Envelopes feature security blockout to prev..
Add beautiful, full color (CMYK) ink to your envelopes. Your choice between window and non-window.Si..